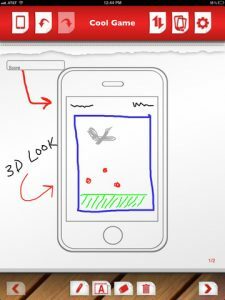 Got a great idea for an app? 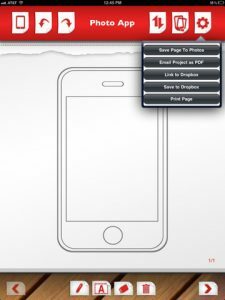 Developed by Bald One Media, AppSketcher is a unique iPad app that was designed to help you imagine and plan your very own iPhone or iPad application. Getting started is easy – just tap to start a new project. You’re presented with a blank iPhone screen, rotatable to both portrait and horizontal orientations. A toolbar along the bottom of the screen gives you access to a number of tools for creating the elements of your app – pencils in different sizes and colors, text boxes, and an erase/trash tool. You can easily tab to create more ‘pages’ to show different features of your app. 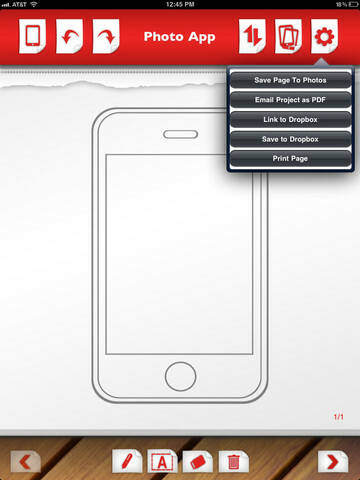 Once you’re happy with your design, you can save the project as a PDF, save to photos or save to Dropbox directly from within the app. 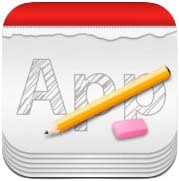 AppSketcher is a brilliant idea with a definite market amongst the iOS developer community, but as it stands, AppSketcher falls short in its utility. 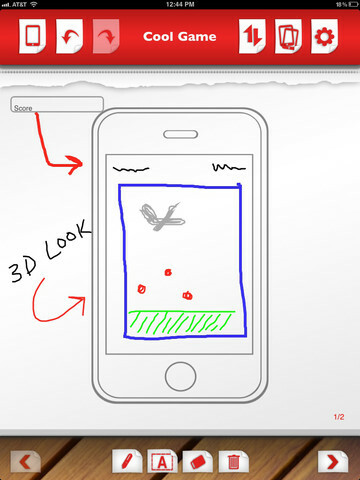 The tools on offer amount to a pared-down ‘Paint’ app to use on an iPhone-shaped canvas. 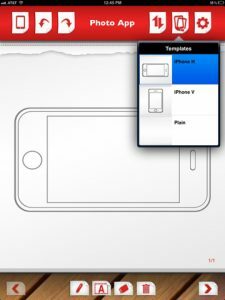 It would be great to see some iOS GUI elements included in the app such as scroll boxes, tabs, buttons and navigation bars which would provide a relevant drag-and-drop design system. 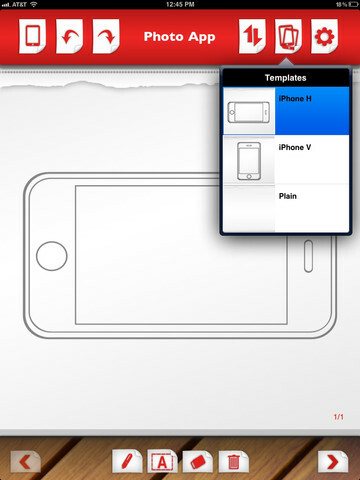 App Sketcher is compatible with iPad. Requires iOS 3.2 or later. A small expedite fee was paid by the developer to speed up the publication of this review.